Indiana will have a net 50,000 jobs open each year until 2025, and the state needs to address a serious issue regarding workforce development. 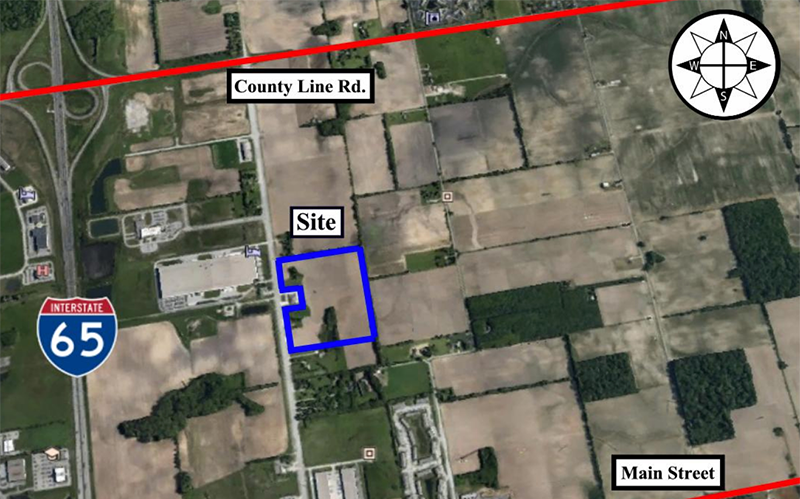 The state's leading vocational education institution, Ivy Tech, is addressing the matter on many levels, according to President Dr. Sue Ellspermann. During the Johnson County Development Corporation's Annual Meeting at Franklin College. Ellspermann said at least 60 percent of Indiana’s workforce will need to have the postsecondary credentials (industry certifications, certificates, degrees) demanded for Indiana’s economy by 2025. "Our students will earn 50,000 high-quality certifications, certificates, and degrees per year aligned with the needs of our workforce," Ellspermann told the audience. 1. STUDENT SUCCESS: Ensure basic needs of students are met; expand Inside Track mentoring; and create structured scheduling and 8-week classes. 2. RECRUITMENT AND ENROLLMENT: Target high school dual credit and “no plans after graduation” students; recruit working adults using Achieve Your Degree; and recruit parents of 21st Century Scholar students. 3. COMPLETION: Target of 50,000 high-quality credentials annually; work closely with K-12 on graduation pathways; and increase reverse transfer degrees awarded. 4. WORKFORCE: Campuses offer the right programs; work-and-learn experiences; and focus career development on placement of students. 5. EMPLOYEE: Become known as a great place to work; increase retention and recruit high-performing, talented employees; and build a world-class adjunct faculty model. 6. FINANCIAL: Attract and secure more external funding; better leverage capital assets; and maximize current allocation of resources. 7. COMMUNITY: Work collaboratively with our community leaders; and engage with each community on their most pressing needs. 8. DIVERSITY, EQUITY AND INCLUSION. Overall, Ivy Tech awarded 25,803 certificates, technical certificates and associate degrees in the 2017-2018 school year. The vast majority of class credit (75 percent) was in information technology, followed by business logistics and supply chain management, advanced manufacturing and healthcare. 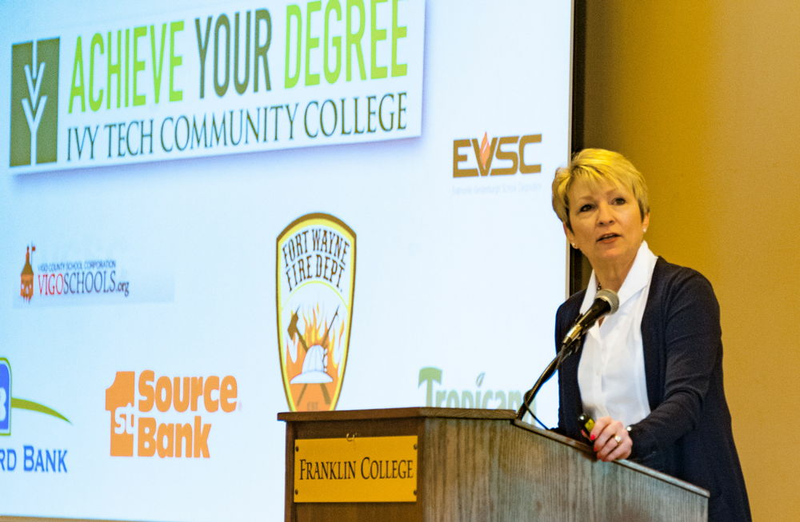 Ellspermann said Ivy Tech depends on partnerships with the private sector through internships and financial support to meet the workforce development needs today and in the future. Ellspermann, who became Ivy Tech president in 2016, served as Indiana’s 50th Lieutenant Governor from 2013 until March 2016. She served as President of the Senate and Secretary of Agriculture and Rural Affairs, as well as oversaw six agencies including Office of Small Business and Entrepreneurship, Indiana Office of Tourism, Indiana State Department of Agriculture, Indiana Housing and Community Development Authority, Office of Community and Rural Affairs, and Office of Defense Development. She served as the co-chair for the Blue Ribbon Panel on Transportation Infrastructure and the Rural Broadband Working Group and led agriculture trade missions to Japan, South Korea, Taiwan and China. "We are putting more 'community' into our community college system," she said.